On the 31/08/1997 – Diana, Princess of Wales, and her companion Dodi Fayed, and their driver, die in a car crash in the Place de l’Alma underpass in Paris, France. Two decades on, the world is still fascinated by Diana and the manner of her untimely death. The legacy she left in the photographs of that time show a woman in her prime – confident, attractive and poised on the brink of a new life. In ‘Diana – Her Last Ten Days In Pictures’ we uncover the truth behind those iconic shots. Twenty years on, there are still questions about the terrible crash that killed Princess Diana, Dodi Al Fayed and the driver Henri Paul. This new documentary brings the story up to date with new evidence not seen before on TV. 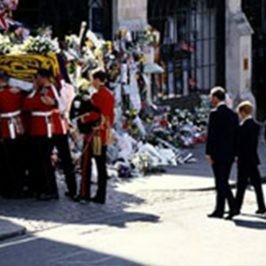 It reports allegations made by a French witness that there was a conspiracy to kill Princess Diana and the details of how that caused the fatal crash in the Alma Tunnel. 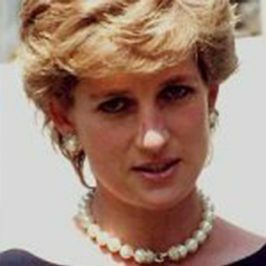 Since the tragic death of Princess Diana in 1997, it has been claimed that there was an orchestrated criminal conspiracy to end the life of Diana, Princess of Wales. But could the British Royal family really be behind the murder of a lady who became an international icon? As Diana was thrust into the Monarch and the public spotlight, she helped change the public perception of the Royal family. She often struggled with a turbulent private life, which was made public to the world. We take an in depth look into the life and death of Lady Diana.